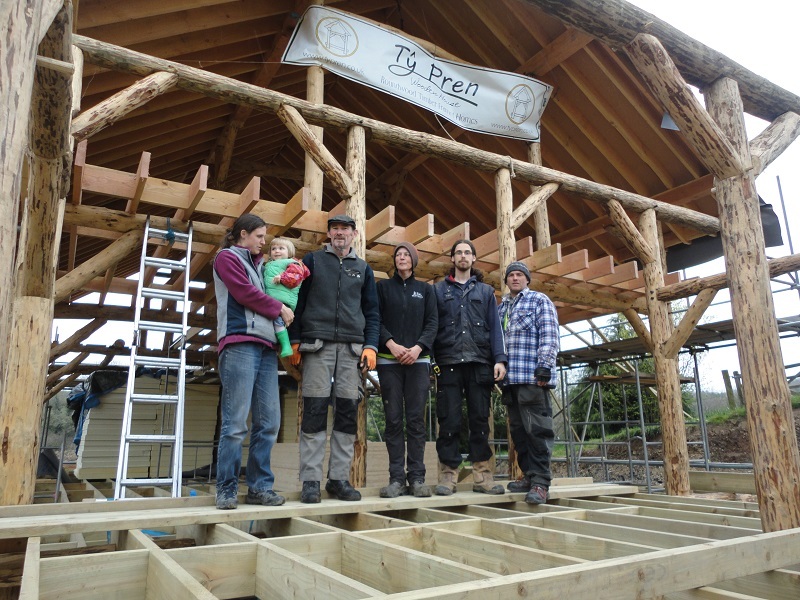 Blessed with sunny days, Ty Pren has completed the frame of the house, including the workshop, and a drink was shared by all during the ‘topping out ceremony’. Thanks was given to the wood energies that have helped us reach this point. 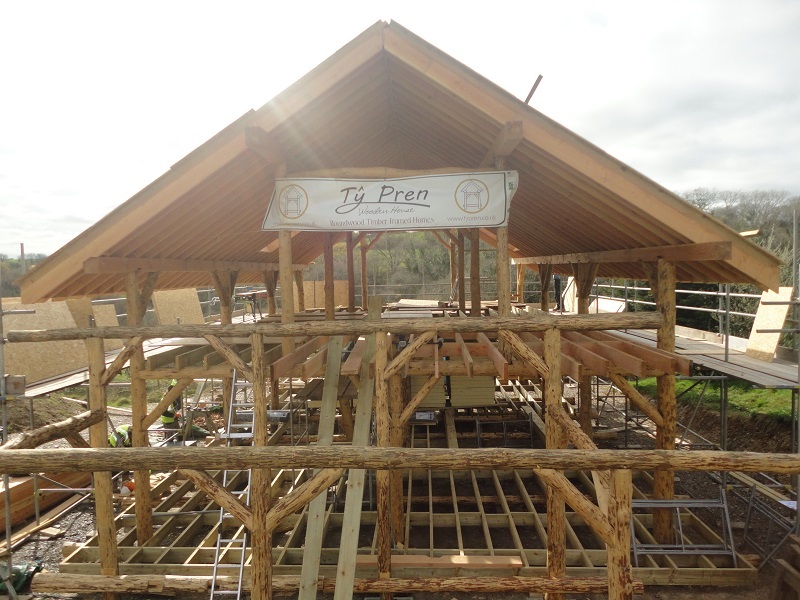 The Ty Pren team has been working efficiently and co-operatively on the roof of the house which is kept as eco as possible using a Pavatex wood fibre board for the insulation and recycled steel for the top layer. 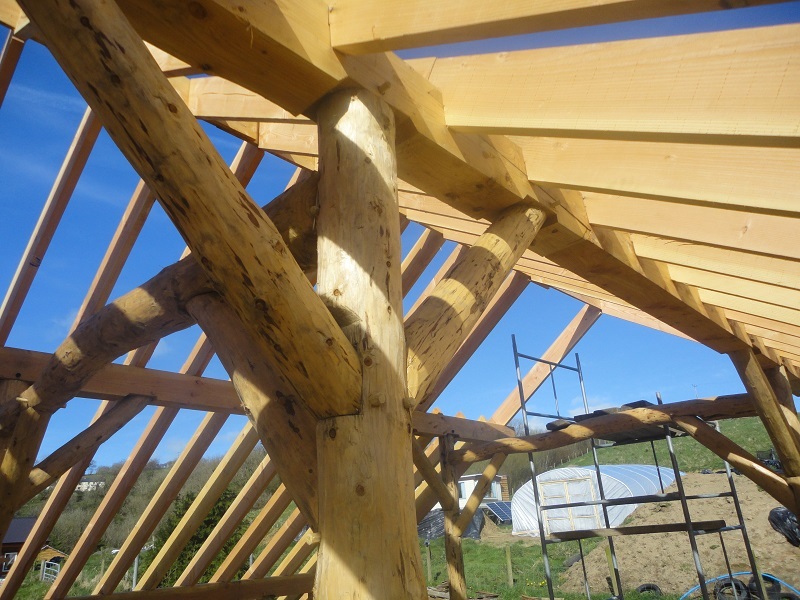 Ty Pren will soon be handing over to Richard Sylvan of Heartwood Natural Building who will lead the installation of the straw bale walls that provide world class insulation value. The five hundred bales will then be rendered with lime and clay plasters under the guidance of Straw Works and Heartwood Natural Building. 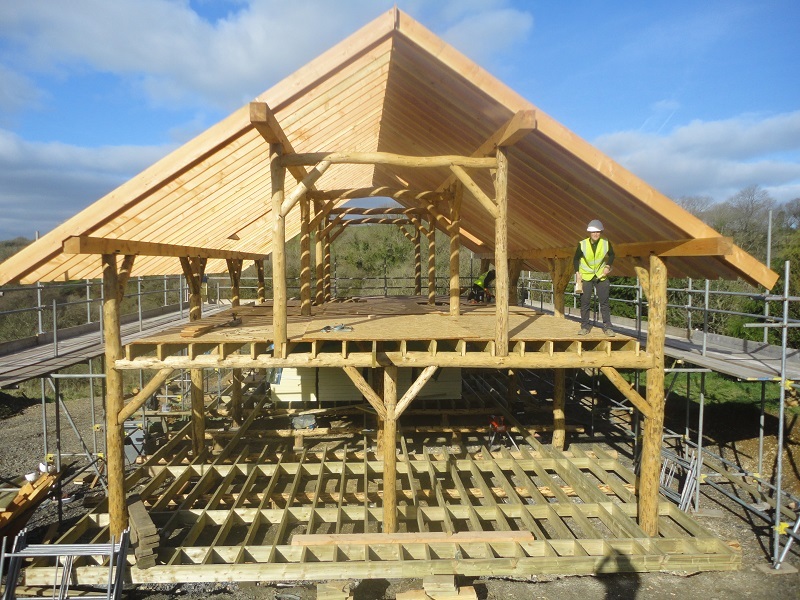 They will be hosting courses in natural building throughout the summer – see http://www.danyberllan.co.uk/ for details and to get involved. We have loved building the frame for this affordable home with a very low carbon footprint. It has been nice to be immersed in the ideals that shape the people who come together to create a One Planet Development site like the one at Rhiw Las. We wish Erica Chris and Tanwen all the very best in their new home on completion.